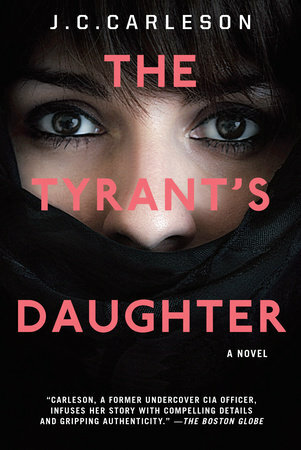 About: When her father is assassinated by her uncle in a coup, Laila, her mother, and brother leave their war-torn homeland in the Middle East for a fresh start in the suburbs of Washington, D.C.
At her new high school, Laila makes mistakes, makes friends, and even meets a boy who catches her eye. But this new life brings unsettling facts to light. The American newspapers paint her father as a brutal dictator and suggest that her family’s privilege came at the expense of innocent lives. Meanwhile, her mother would like nothing more than to avenge his death, and she will go to great lengths to regain their position of power. What I Thought: A while ago I read a short story titled, ‘Tales of a Tyrant‘ that pertained to Saddam Hussein’s personal life through the eyes of his family. It was one of a jovial, over indulgent grandfather figure…. think it also mentioned he dabbled in writing romance novels. Anyhow, the story stuck with me and I always wondered what happened to Hussein’s family in retrospect. This is that story! This book is an eye opener and necessary read for anyone remotely interested, especially with the political climate as it is. This entry was posted in Political, realistic fiction and tagged Audrey, J.C. Carleson. Bookmark the permalink.